Common export packing. Cartons+Pallets, or customized packing. 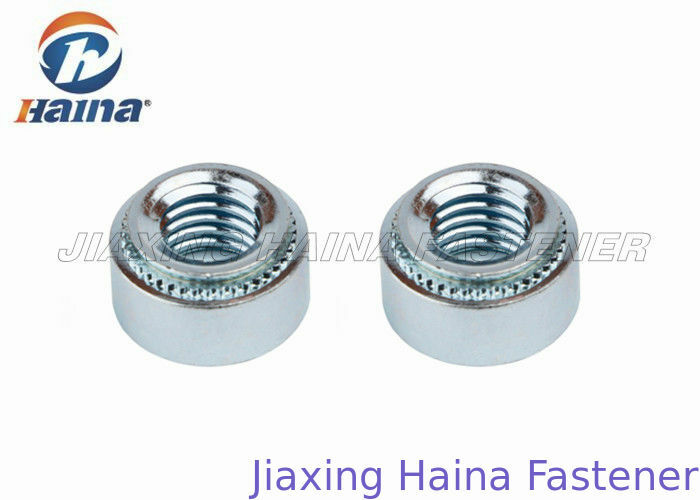 Pressure riveting nut and rivet nuts, since the fastening nut, is applied to a nut on the thin plate or sheet metal, the shape is round, end with embossed teeth groove.Its principle is through the embossing tooth pressure into the preset hole of sheet metal, generally preset hole diameter is slightly less than the embossing of pressure riveting nut, pressure riveting nut through pressure makes the tooth into the plate that generates around the hole of the plastic deformation, deformation were piled into guide groove, to produce the effect of the lock. Pressure riveting nut from the material into fast cutting steel pressure riveting nut S type, stainless steel pressure riveting nut CLS type, pressure riveting nut SP type stainless iron and copper, aluminum, pressure riveting nut CLA type, respectively, should be used in different environment.Specifications from the usual from M2 to M12.Pressure riveting nut unified national standards, often used in the chassis cabinets, sheet metal industry. Pressure riveting nut with more general market for iron, iron is called the carbon steel is known to all, type pier, or turning out, manufacturing production comes out is ecru, need to electroplating.The stainless steel pressure riveting nut is don't need plating.Iron, galvanized color generally determined by the customer, the customer need what kind of what kind of color is plating color.There are some requirements for salt fog time.Some higher salt spray plating color time, electroplating, a few hours before the little rust.And one more thing is to see the customer of this product is need to export, export is generally need to environmental protection, the domestic some also need, but most still don't need. 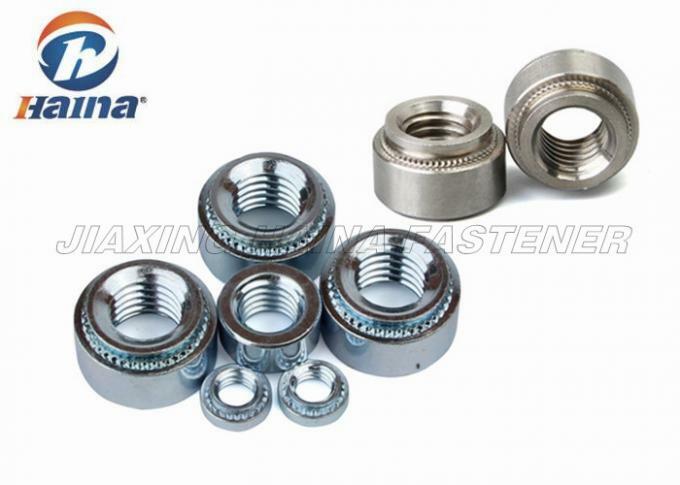 Clinch nut is a nut used in sheet or sheet metal, rounded shape, one end with embossed Chiji guide groove. The principle is pressed into the preset hole through the sheet metal embossing teeth, embossing teeth general and Fang preset hole aperture is slightly smaller than the pressure riveting nut, through the pressure of flower tooth pressure riveting nut into the plate that lead to hole peripheral produce plastic deformation, deformation is squeezed into the guide groove, thereby producing a lock the effect of tight. 5, specification seriation, can meet various design requirements. China Good Quality Supplier. Copyright © 2016 - 2019 screws-bolt.com. All Rights Reserved.